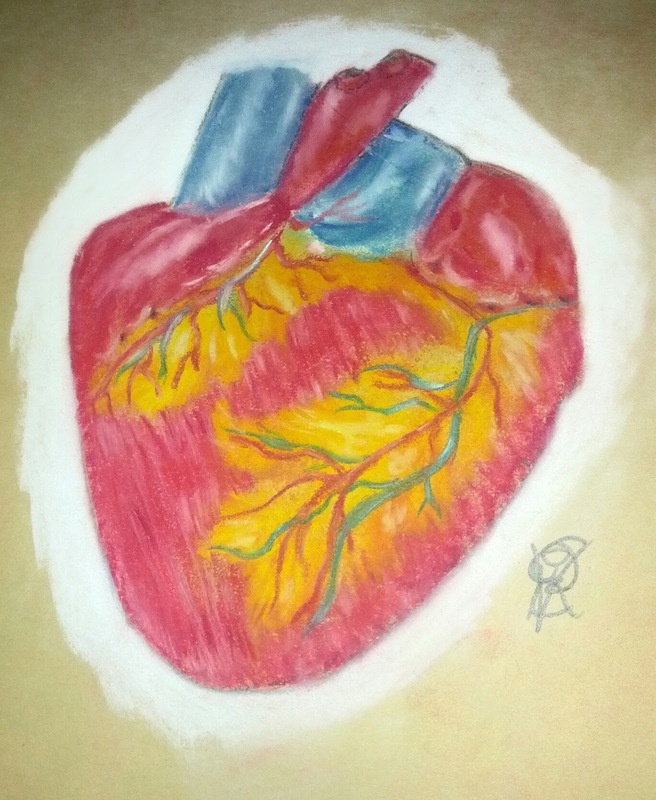 Human Heart by Becka V.
The human heart is an amazing organ. Here are some resources to learn more about it. Franklin Institute: Development of the Heart – Site offers an article about the development of the heart and links to pictures of the heart, healthy and diseased. The main page can be found here. Inner Body: Human Heart – Site offers a 2D and 3D interactive diagram of the heart. LiveScience: Human Heart: Anatomy, Function & Facts – Article with facts about the human heart. World Invisible: The Human Heart – Site offers labeled diagrams of the heart. Wikipedia: Heart – Site offers information about the heart, including: Structure, development, physiology, history, symbolism, and more. National Geographic: Heart – Site offers an interactive diagram about the heart rate at rest and while walking, how heart attacks happen and treatment. Plus, there is an article about how the heart works. Tissue engineering: How to Build a Heart – Site offers a video and article about how they are working to build hearts for transplant. Texas Heart Institute: Anatomy of the Human Heart – Site offers information about the heart and Flash illustrations. Home Science Tools: Heart Pump Project – Learn how the human heart pumps. eHow: How to Make a Model of a Human Heart – Words and pictures show and tell how to make the model. Click on arrow next to ‘Playlist’ to see the title names.